It’s my annual “Taxes from A to Z” series! If you’re wondering whether you can claim home office expenses or whether to deduct a capital loss, you won’t want to miss a single letter. First things first. This is one of those words that people pronounce a lot of different ways. According to Merriam-Webster, choate is pronounced: \ ˈkō-ət, -ˌāt \. I use the latter (with the long ā), but then my kids also make fun of the way that I say “oil” and “mine” so take that for what it’s worth. It’s fitting that choate is hard to pronounce because it’s also a complicated concept. But let’s give it a whirl. In the law, choate means “something that is complete or justifiable against other claims” (the definition goes on to say that it’s also “the opposite of inchoate” which really doesn’t help). The term isn’t solely a tax term, but it does have a specific meaning when it comes to tax. The “choateness” test first reared its head at the Supreme Court in United States v. City of New Britain, 347 U.S. 81 (1954). The fact that it arose at the Supreme Court level is amusing since former Supreme Court Justice Antonin Scalia long believed it not to be a word, hating it so much that he berated a young attorney for using it in Internal Revenue Service v. McDermott – that case later became United States v. McDermott, 507 U.S. 447 (1993) where Scalia was responsible for writing the dissent (for the record, the word choate appears in some form 24 times in that case). Here’s what it has to do with tax. When you owe money to the Internal Revenue Service (IRS), the agency may place a lien on your assets. The purpose of a tax lien is to protect the government’s interest in your property, including your real estate and personal property. To file a lien, the IRS must first assess your tax liability and send you a bill. If you don’t pay the bill in full, the IRS can file a Notice of Federal Tax Lien which puts creditors on notice that the government has a legal right to your property. 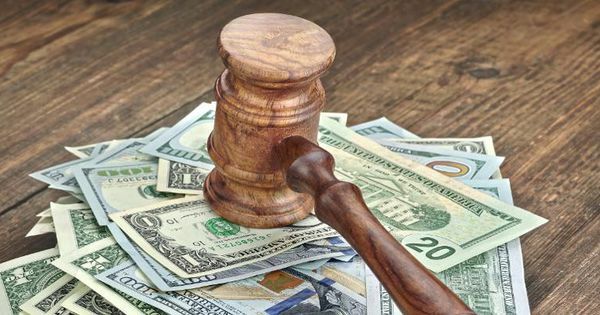 This is important because the government often has a priority claim: The lien lets creditors know that they may not be first in line if you don’t pay up on other debts. If and when you sell any of your assets, you may be forced to turn over the proceeds to the IRS to satisfy your debt. If you pay your tax liability in full, the IRS will release the lien. The IRS may also work with you to release the lien under other circumstances, including efforts to demonstrate compliance while you’re on a payment plan. Filing for bankruptcy doesn’t necessarily help you out since a federal tax lien may continue even after you’ve filed for bankruptcy. If any person liable to pay any tax neglects or refuses to pay the same after demand, the amount (including any interest, additional amount, addition to tax, or assessable penalty, together with any costs that may accrue in addition thereto) shall be a lien in favor of the United States upon all property and rights to property, whether real or personal, belonging to such person. The amount of the lien. If the nonfederal lien doesn’t meet all of the criteria, it takes a place behind the federal lien even it had been otherwise enforceable at the time the federal lien was created. What about other creditors? If a lien is attached due to a creditor’s lawsuit, the attachment lien is deemed inchoate (a word Scalia liked much better) until it’s perfected by a final judgment. So, for example, let’s assume a creditor files a lawsuit in March of 2018, and a lien attaches to property during the lawsuit. Next, assume the IRS establishes a lien in April of 2018. Finally, let’s assume the creditor receives a judgment in May of 2018. Which lien has priority? The IRS lien. The creditor’s lien is inchoate until that May 2018 judgment. Why does it matter? Let’s say you had a federal tax lien in the amount of $150,000 and a state tax lien in the amount of $25,000. If your liened property is worth $100,000, who gets paid? The priority of liens – who was first in time and first in right – matters because clearly everyone wants to get paid but there’s not always enough cash to go around. For 2018 tax brackets, credits, changes and more, click here.